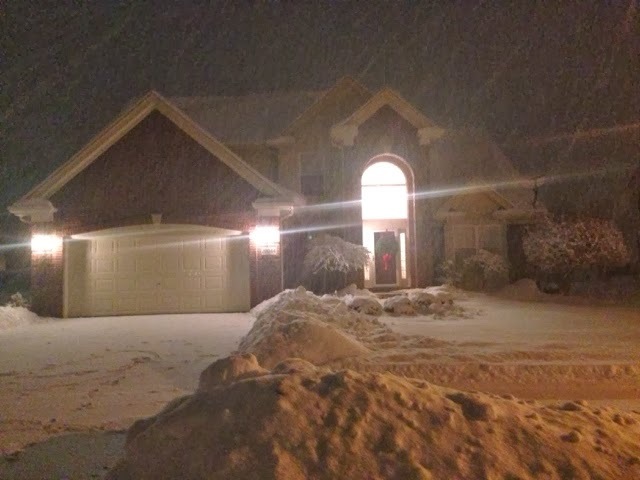 Heavy snowfall began in South East Michigan on New Year's Eve. It continued snowing on New Year's Day during the NHL Winter Classic, and hasn't really let up since then. The hockey game took place in Michigan's Football Stadium, The Big House, in Ann Arbor. It is the largest stadium in the United States, and attendance was around 105,000 people. Traffic to and from Ann Arbor was difficult due to the weather and large amount of people headed into the city. The game-time temperature was 14 degrees, but it felt colder than that! The game felt very long because they had to shovel the snow off the ice pretty often. The Zambonis also had to take a few extra passes to get the ice smooth. Although the Red Wings lost, it was an amazing experience. Watching hockey outdoors during a snowstorm made us feel like we were watching hockey as it was originally intended. We could hear other fans around us express how happy they were to be there watching a game like this. I was surprised and happy to see so many Toronto Maple Leaf fans, and I hope that they had a good time at The Big House. 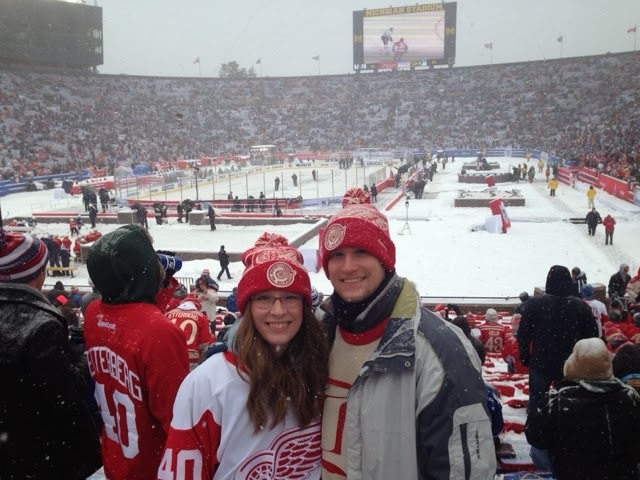 Here are some great photos from the Winter Classic. 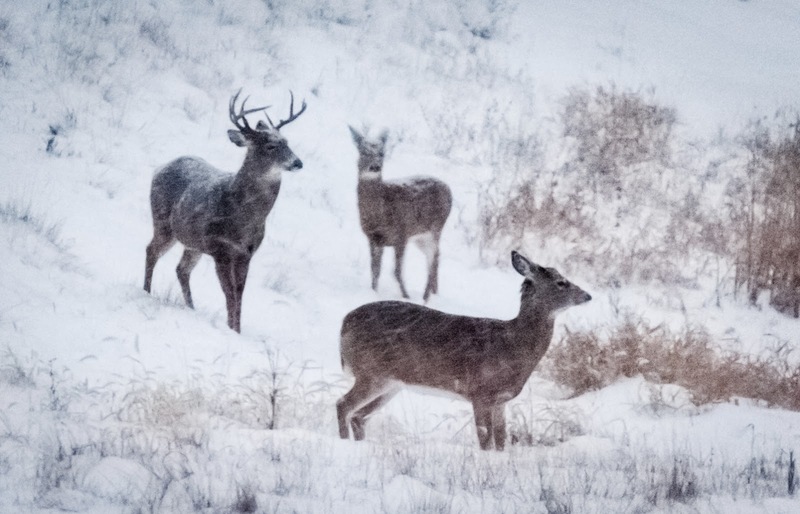 We have been able to take some great pictures of deer in our yard during a few snow storms over the past month. 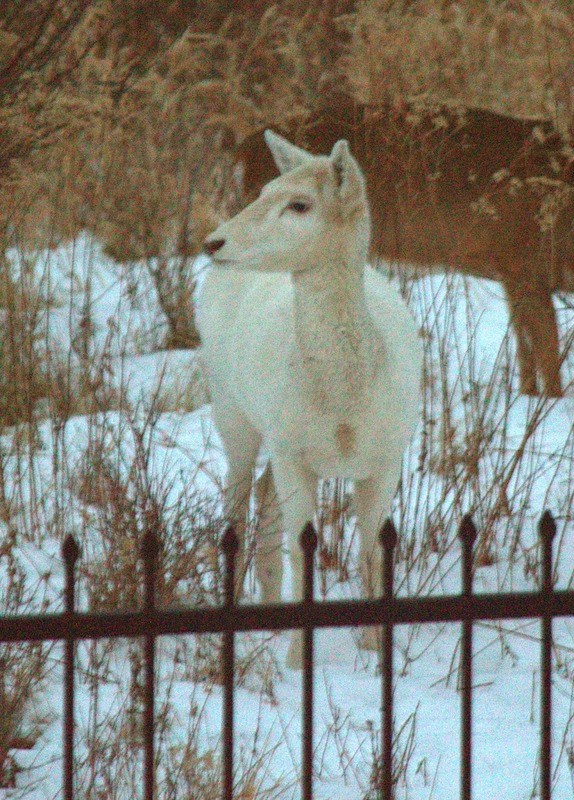 This includes a mostly white (or piebald) deer. Yesterday, it snowed pretty much all day. 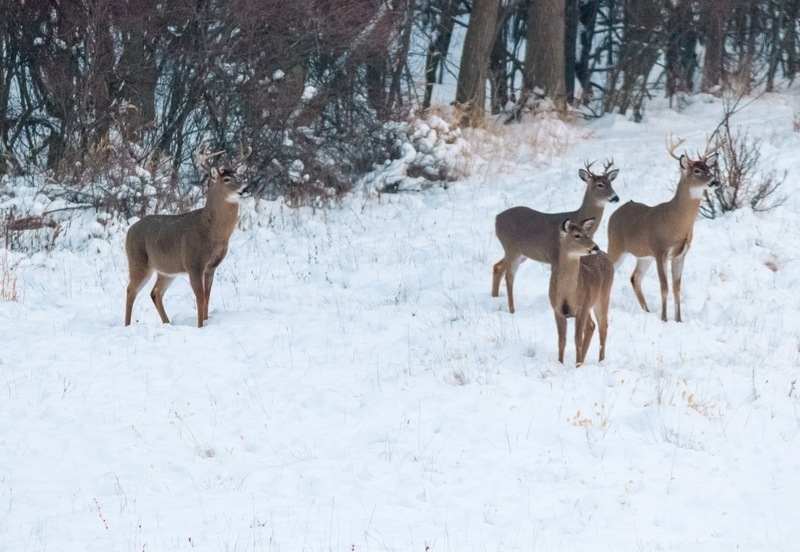 Here is a picture of the snow and some deer in the distance as the sun went down. 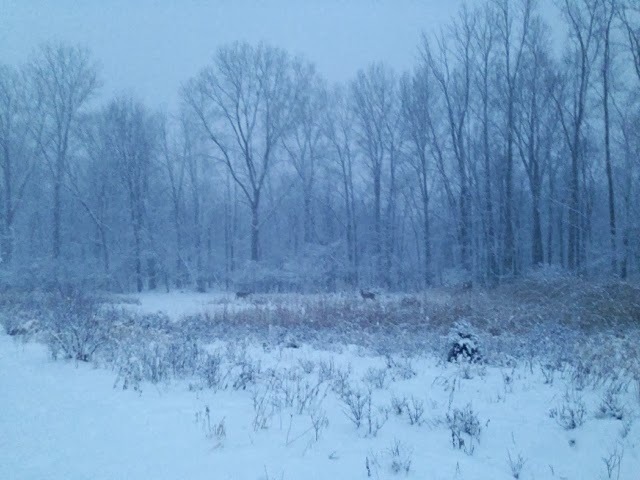 The snowstorm continued through the night. After we shoveled, we decided to take a walk around the subdivision. It was very beautiful. 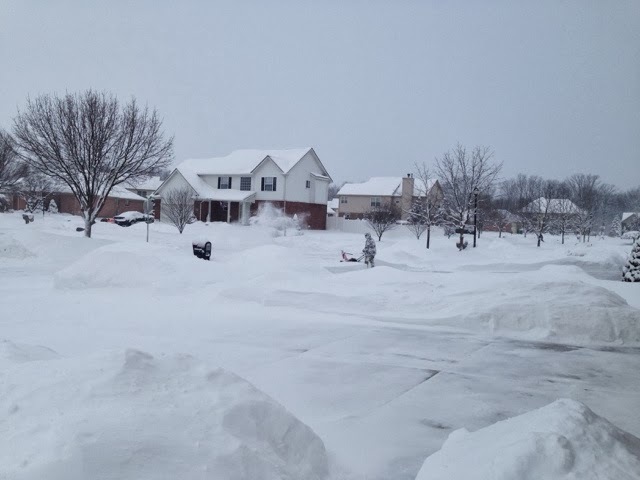 Many of the neighbors were out chatting and shoveling their driveways. 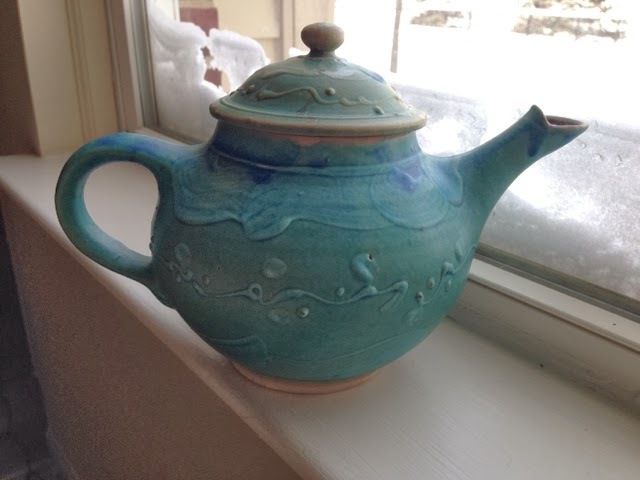 It is actually very nice during these storms because it gives the neighbors a reason to go outside to catch up with each other, and it feels more like a community. The grocery stores have been crowded and crazy. The roads have been dangerous. Michigan State University cancelled classes today, for only the 6th time in their history. 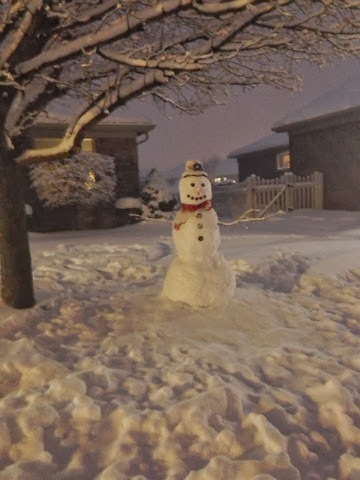 Our neighbor made a perfect snowman. 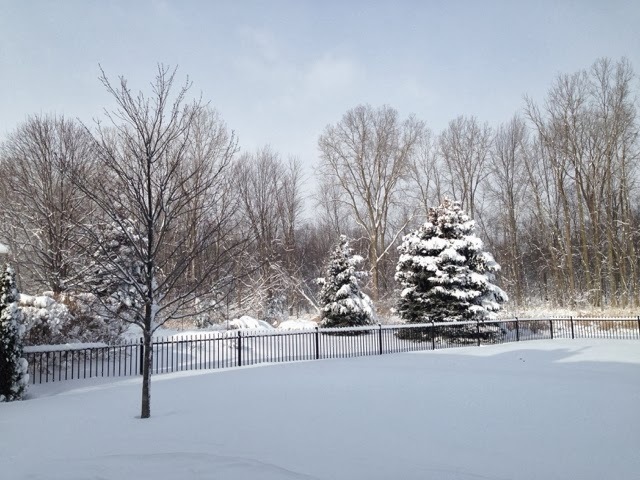 The snow finally let up late this morning. The sun is out and it looks beautiful!